SERVICES: One Blended Service on Sunday @ 10:30 a.m. The Parish Organist uses gifts of musicianship balancing the instruments of organ and piano to assist leading the St. Anne Episcopal Church congregation in worship. This includes working with the Rector, the Choir Director, staff, lay leaders, and other musicians to develop a well-rounded music ministry for worship services and special events. The Parish Organist shall perform all responsibilities noted below and will receive an annual salary (to be determined annually by the Rector, Parish Organist, and Vestry), such salary to be paid in monthly installments. Specific hours shall be determined at the direction of the Rector after input from and discussion with the Organist. The current organist averages 10 hours during a standard week during the academic year. The position will pay $13,000 – $15, 000 commensurate with experience. After the first year, $1,000 is provided for continuing education. Completion of (or willingness to expeditiously complete) and maintenance of current certification in Safe Church Training and the ability to follow the Risk Management Policy of the Parish. Perform weekly (and accompany the adult choir) at the 11:00 a.m. Sunday Service and during all special seasonal services (i.e. Christmas Eve, Christmas Day, various Lenten Services, Easter, etc.) a prelude, a postlude, offertory hymns, anthems, psalms, service music, and congregational hymns. The organist shall not be required to perform at either the 7:30 a.m. or the 9:00 a.m. services. 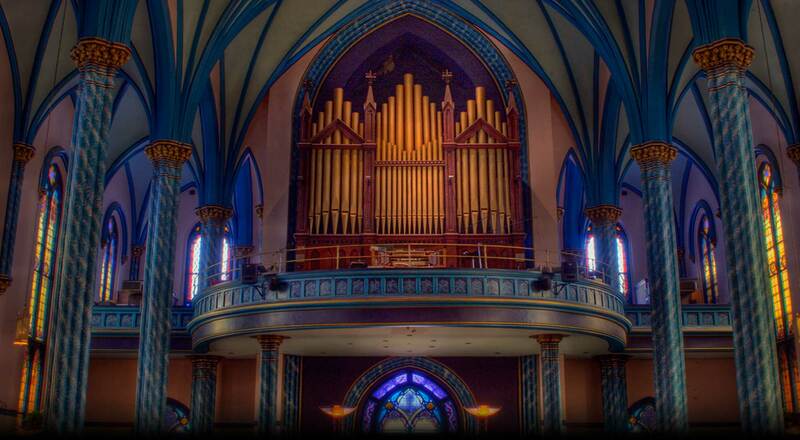 Rehearse on the organ sufficiently to maintain a high quality of music. Consult weekly with the Choir Director and accompanists, and the clergy as needed, and attend scheduled Worship Meetings (held quarterly) in order to assist in the planning of themes for worship services and liturgical seasons. Collaborate with the choir director as needed to help make weekly hymn, anthem, and service music selections and in selecting and scheduling special music selections for special services. Rehearse weekly with the adult choir and the cantors. Provide as much advance notice as possible of absences from Sunday morning worship services and arrange for a substitute organist when not able to be present. During the summer months, perform 3 Sundays per month at the 9:30 service (the remaining Sunday is covered by the Praise Band), schedule to be determined during consult between the Organist and the Praise Band Director. Arrange for and oversee the regular tuning and maintenance of the organ and the piano in the sanctuary within approved budget. Make use of continuing education opportunities within approved budget. The Organist has first right of refusal for all service held in the church, including weddings and funerals. Play at all funerals if possible. The payment for funerals is currently set at $200.00. The Rector will consult with the Organist before setting funeral dates/times. It is up to the Organist’s discretion whether they play at a wedding where organ music is requested. The organist fees listed in the wedding customary are set by the Parish Organist. All benefits are as outlined in the Parish Personnel Police with the exception of the following: Understanding that the Organist shall be required to work and perform on several holidays traditionally granted to employees of the Parish, beginning after the fifth full year of employment, the Organist shall be entitled to one additional Sunday of vacation and corresponding weekly rehearsals in compensation therefor during a week mutually agreeable to the Organist and Rector. This is in addition to regular vacation leave as outlined in the Parish Personnel Policy. The Music Director will be responsible for developing the musical worship and ensuring the musical formation of the whole congregation, including providing music during services, directing an adult lay choir and providing accompaniment on organ and piano. 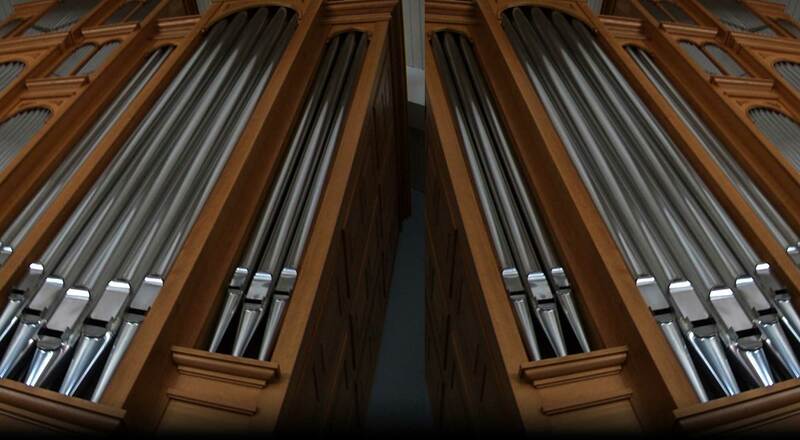 Trinity Episcopal Church utilizes a traditional worship style and the church’s organ is a 2-manual Moller pipe organ. Provide accompaniment for the musical life of the congregation on Sunday mornings and Holy Days, including but not limited to Christmas Eve, Christmas, Ash Wednesday, Holy Week Services, and Easter Vigil. Lead choir rehearsals and direct the adult lay choir, working with choir members of varying skill levels and experience to strengthen the vocal and musical competency of all members. Participate in the musical and liturgical formation of the congregation and choir through teaching new music to the congregation and the choir by providing written, verbal and musical instruction to both the choir and congregation. Assist the Rector and the Worship Committee in planning liturgy and choosing music to support the Liturgical Seasons and the Lectionary Readings. Arrange for summer anthem offerings by individuals or smalls groups within the congregation, when the full choir is on recess. Select, purchase and maintain music resources within budget guidelines and restrictions and maintain music library. Ensure compliance with copyright permissions including tracking usage of hymns and music from other publications through OneLicense and CCLI. Arrange for regular tuning of organ and pianos. Develop and direct special musical events for worship, fellowship and/or fundraising. Submit content for the parish newsletters, website and other publications. Arrange for substitute organists/directors when not able to be present. A desire to praise God through music. A willingness to develop and strengthen the ministry of a lay choir. A willingness to develop a strong relationship with the parish to encourage and develop their participation in worshipping God through song. Proficiency on both organ and piano. Knowledge of and willingness to utilize a variety of musical traditions and hymnals with an emphasis on the Episcopal/Anglican tradition. Familiarity with (or willingness to learn) Plain Song and Anglican Chant and willingness to introduce to the choir and the congregation. Utilizes a variety of musical resources within and outside Trinity.